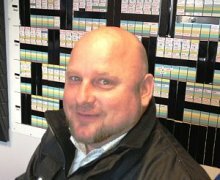 Spencer set up Horizon Roofing in 1998, prior to that Spencer ran his own company alongside his brother Stuart and has been in the roofing industry since he left school. Spencer provides the leader ship and vision that has made Horizon Roofing one of the foremost roofing companies in Cornwall. Spencer is an avid football fan and supports Tottenham Hotspur. Since breaking his leg (for the third time!) Spencer has hung his boots up and now manages the club he played for, Trevenson FC. 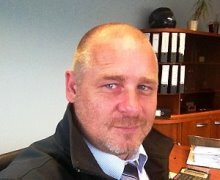 Stuart is part the of the original team that set up Horizon Roofing, Stuart has the arduous task of ensuring the day to day operations of current jobs run smoothly and liaising with site agents as well as maintaining quality control of workmanship. Stuart is also a big football fan and supports Tottenham Hotspur, Stuart has played football to a good standard playing for Braintree Town at his height. Although Stuart no longer plays regularly he still pulls his boots on for his brother occasionally when asked. 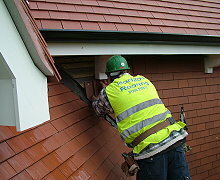 All our roofing & lead teams are fully employed and from the local area, most have come through our apprentice courses and all of them are put through NVQ 2/3. We have a good retention of staff with the majority of our roofers having been here for more than 3 years and our most senior roofers have been here since the company was set up in 1998. All of our roofers are keen sportsman with most playing football for various clubs, cricket, fishing and golf are also favourites among them.